Neste's success in renewable products is backed by ten years of proactive and target-oriented research. Its aim has been to find suitable raw materials in terms of their quality and costs and to expand the company's raw material range. Ten years ago to the date in March 2007, Neste's R&D laboratory received 10 liters of rapeseed oil - the first sample of commercial renewable raw materials to be examined. The next sample consisted of 10 liters of used cooking oil (UCO). Ever since, Neste has analyzed a couple of hundred samples a year and, by this date, it has conducted a total of 1,723 analyses. "We started our raw material research from Finnish vegetable and waste fat. 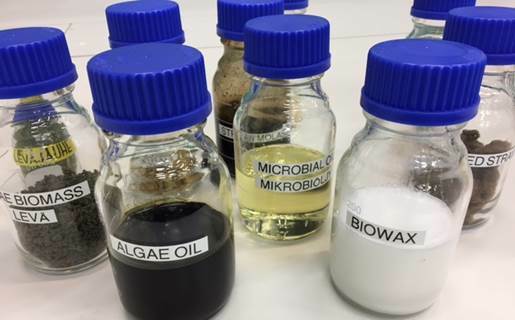 Then, we quickly moved on to global raw materials, such as crude palm oil, waste animal fat and inedible vegetable oils, including jatropha oil," says Markku Patajoki, R&D Manager in Biotechnology. "Thorough raw material research opened up opportunities to expand the range of raw materials in production," says Jukka Myllyoja, Fellow in Biotechnology from the R&D unit. Neste's raw material range for renewable products has increased significantly from the initial situation and, today, Neste is the world's largest producer of renewable diesel from waste and residue. Neste is able to produce renewable diesel from more than ten different raw materials. Waste and residue raw materials account for approximately 80 percent of all renewable raw materials used by the company. Neste's goal is to increase the raw material range for renewable products by using even lower-grade waste and residue raw materials. In addition to the current renewable waste and residue feedstock, the expansion of the raw material range concerns fossil recycled materials, such as recycled plastic and oil and used tires.